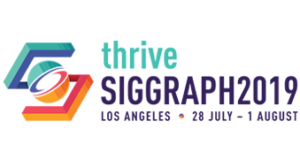 The SIGGRAPH Art Gallery chair compiles and mounts an exhibit of innovative, high-quality, fine art and/or design produced using computer graphics and interactive techniques. The chair manages the review process. The chair oversees space design, interaction with contributors, shipping, assembly and tear down of the show. The Art Gallery Chair works closely with the Conference Chair, the Conference Event Director, volunteers, and contractors to produce an exciting and provocative computer graphics and interactive techniques Art Gallery. The following list is a “high-level” view of the specific responsibilities associated with serving as a Art Gallery Chair. The list is organized under general categories of responsibility.